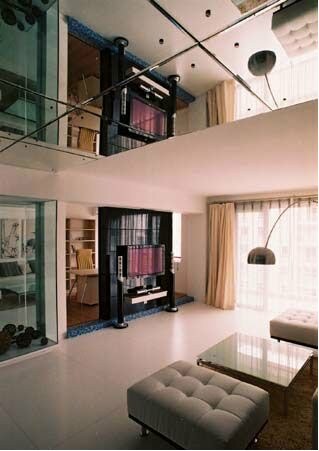 Home is the haven of dream, own a warm home is everyone's dream, even if it is small. How to decorate your small home, thus make your small house seemed not very small? Here I’d like to recommend a media star, which can help you to create a large space and smiling when sitting in the house, this media star is, Mirror, no matter new or old one. Tip 1. 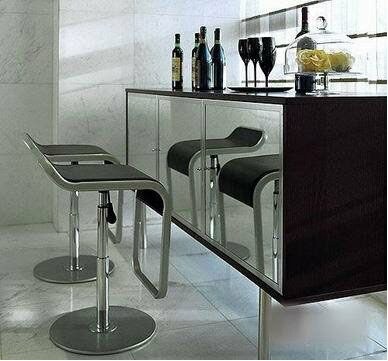 Install Mirrors within a Narrow Aisle. Laying mirrors on one side of the whole wall to create a mirror wall in the narrow aisle, taking advantage of the reflection effects of mirrors to enlarge the space doubly. Tip 2. Setting Flaky Mirrors in the Locker Room. Installing a large piece of mirror as a pier glass specially in the locker room, the rest mirrors can be laid with different shapes (wide or narrow) thus to highlight the decorative effect. 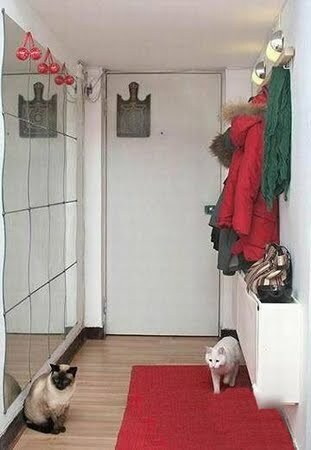 Important Attention: Do either Do not settle mirrors in your bedrooms, no matter from the psychology point of view or in the view of Feng Shui theory, mirrors in bedroom will cause bad influence on the hosts. Tip 3. Making a Mirror Wall aside the Dining Table. 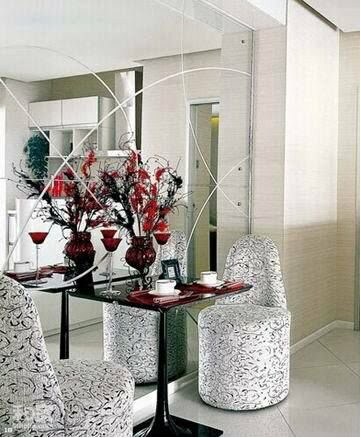 Placing a mirror aside to the dining table in your home, delicate flowers and tableware reflected in the mirror, you can see a vague outline of a more beautiful and warmer small home. Tip 4. Creating a Mirror Roof at the Entrance. Creating a mirror roof at the entrance of your home, matched with beautiful wall lamps, then the luster reflected by the mirror roof will make your home shiny much! 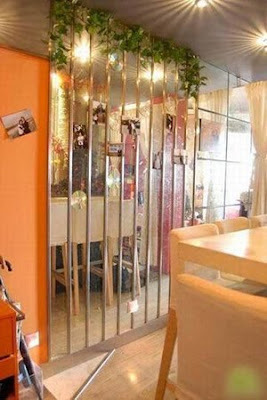 Here you can use old mirrors wholly, you can install a whole piece of mirror on the door, or you may cut the mirror into several pieces them assemble them on the doors of cabinet, both of the two ways have its own style.